Welcome to Amazing Amazon. With over 50 years industry experience, we specialise in tropical and marine fish, reptiles and birds. We pride ourselves on our expertise with both domestic and corporate customer requirements. With professional advice on all aspects of fish keeping, we carry a massive range of all the latest filters and accessories from the smallest to the largest of aquarium set-ups. We specialise in advanced marine systems stocking all the best protein skimmers, calcium reactors, metal halide lighting and all relevant equipment needed to successfully keep these amazing looking fish tanks. We also have a large range of goldfish, Cichlids and tropical fish. We sell all sizes of Jebo and AquaOne tanks as well as your more traditional rectangle tank with pine cabinet stands and hoods to suit your individual needs. Our reptile range is second to none with an extensive range of Dragons, Monitors, Pythons, Bluetongues, Spiders, Scorpions and many different types of Snakes and turtles.We have many different kinds of enclosures and fish tanks on display for sale as well as quality heat lamps; water bowls, red desert sand, crickets, mealworms and cockroaches. We also specialise in hand reared birds stocking Eclectus Parrots, Alexandrines, Lorikeets, Quakers and Cockatiels (just to name a few). We also have plenty of birdcages and bird accessories to suit your new pet. Amazing Amazong has a strong reputation as a suppleir of rare and exotic bird species. 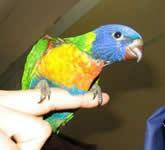 We specialise in baby hand reared pet birds. We also stock quality birdseed as well as an extensive range of birdcages and accessories. Fish keeping is one of the most popular hobbies in the world, and with the right equipment and advice you too can sit back and enjoy one of our amazing aquarium set-ups. For the Saltwater enthusiast, we have the most advanced equipment available on the market with the 1200 litre coral reef tank that has been ranked by customers as one of the best indoor aquariums anywhere in Australia. We stock a large range of corals including Acropora, Montipora, Xenia and leathers just to name a few. We also have a large range of clams including Maxima and Crocea as well as a huge range of Angelfish, Tangs, Shrimp, Cobies and pretty much everything else found in tropical waters. We also stock equipment such as Eheim, Tunze, , Aquamedic and Hagen. For the freshwater lovers, we have a massive range of filters, ornaments, fish tanks, gravel, plants and driftwood to set your tank apart from the others. We stock hundreds of different kinds of fish such as Angels, Tetra, Catfish, and Rainbows. We are also known for our stocks of rare fish such as L number Catfish and Freshwater Stingrays. We have a large range of goldfish for the pond outside as well as ryukins, oranda and pearlscales for the indoor aquarium. Come in and see our huge snake and lizard collection. We also stock baby turtles,Scorpions, Burrowing Cockroaches Frogs and Queensland Bird Eating Spiders. 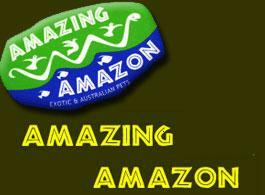 We hold a huge range of reptile enclosures and reptile accessories. We have everything you can possibly need for a new set-up or for your existing one. We sell live Crickets in small and bulk tubs as well as mealworms, cockroaches and flies.Frozen Rats, Mice, Chickens and Rabbits. We have a massive showroom of fish tanks on display. We sell all sizes of Jebo and AquaOne tanks which we will not be beaten on prices. We also have plenty of traditional fish tanks with pine stands, cabinets and hoods. We quote many custom aquarium set-ups to suit your home or office, with no job being too big or small. Whether you need an under gravel filter, canister filter, internal filter or under sump filter, gravel, plants, driftwood or coral, we welcome your specific needs and guarantee professional service and personalised advice. We also can discuss with you a plan to design a specialised marine tank set-up or even multiple linked tanks for freshwater and cichlid breeders. Click for a video tour of our shop.